No longer able to ignore the notion that there should be more to life, a successful graphic designer grabs the pursuit of happiness by the neck by turning himself into a design project. The result is a stunning, 92 minute voyage through love, despair, relations, drugs and meditation—all in the name of becoming a better person and finding true happiness. It's funny how we constantly fool ourselves, how we repeatedly manage to tell ourselves the same lies: When I get that job, when I publish that novel, when I get the house of my dreams…that's when I'll finally be happy. Sounds familiar? If it does—which I imagine it would—you also know that it doesn’t work like that. Reaching those goals usually doesn't provide anything but a short term boost, and the anticlimax tends to be inevitable. So what do you do? In addition to a huge number of studies, there are probably an infinite amount of tips, tricks and advices on how to be… well, happy. But what if you approach this life spanning pursuit the same way a graphic designer would approach an assignment? Could you actually design and rebrand yourself for the better? Train your mind to change the same way you train your body? These are the questions that inspired Austrian Graphic Designer—and now filmmaker—Stefan Sagmeister, to turn himself into a design project and make a documentary about it: The Happy Film. 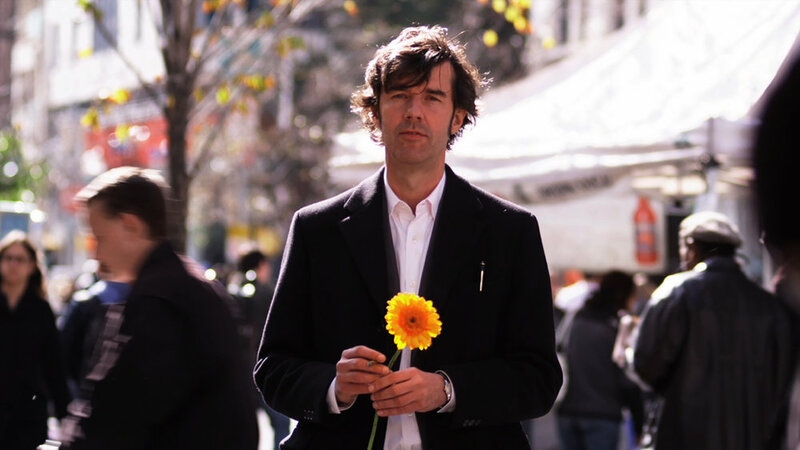 And Sagmeister serves as the perfect subject; his career is a success story. He’s designed album covers for the Rolling Stones, Jay-Z and Talking Heads. He’s a two-time Grammy Award winner, he lives in New York, the city of his dreams, and is surrounded by great friends. Yet, he can’t shake the notion that there must be more to life. In the film—in which production spans over a seven year period—he tries to redesign himself through meditation, therapy and drugs. But as aspects of real life inevitably intervenes the process, the film ultimately depicts a unique and personal experience that travels closer to himself that ever intended. Did he find what he was looking for? We called him up to ask. Where can people, and especially creatives, find happiness? For me: Exercise at least 20 minutes in the morning. It turned out to have a bigger impact on the rest of my day than 40 minutes of meditation. Write down 3 things that worked that day (small and large) every night before going to sleep. Reading the synopsis of the film, it seems to me that you—like most creatives—would expect, or at least hope, to see a correlation between success and happiness. What’s your thoughts on this? I am not quite sure if success per se makes me happier (it’s short lasting). I would say that the satisfaction from a job well done is closer to it. The fine feeling of being truly engaged in a subject and then also completing it. Do you think your success has made you more aware of this and therefor maybe less happy? I mean, what are we when we’ve reached all our goals? It does not look like I’m running out of goals any time soon. They do need to be new ones though, in the right mix. When something is too new, I get too anxious, if I’m too familiar with it, I get bored. 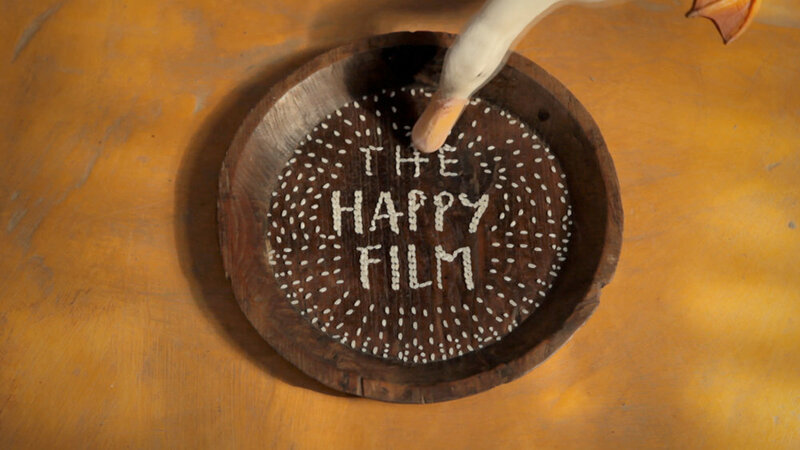 The Happy Film by Stefan Sagmeister and Ben Nabors is available for pre-sales on Itunes, and the film will be released on VOD on June 23rd. Bruno Oldani was knighted for his work in graphic design. No easy feat, considering the guy had to do fourth grade twice, quit school at sixteen and is—I’ll be damned—color blind. Want to be able to talk about what you do every day and actually be understood when you drop the word ‘conceptual design’ or ‘conceptual typography’? You’re not alone. In fact, here’s a book about it. “We still have movement forward to make. There still is work to be done. I wanted to highlight that,” says Daniel Quasar about his recent redesign of the LGBTQ Rainbow Flag. Graphic designer Kareem Magdi recently shared insight into the more systematic and methodical aspect of his design practice—a visual feast for any structure-loving mind. Viktor Weisshappel on Icelandic weather and abstract graphics. Snask, and how they started to paint the world pink. Norwegian graphic design history re-produced for sale. Making room for a diversity of voices in graphic design.